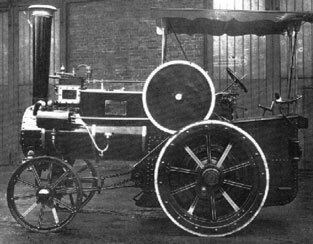 The Little Samson was a 5 ton steam tractor built by Savages of Kings Lynn to comply with the Heavy Motor Car Orders of 1905. Sadly no examples survive into preservation. 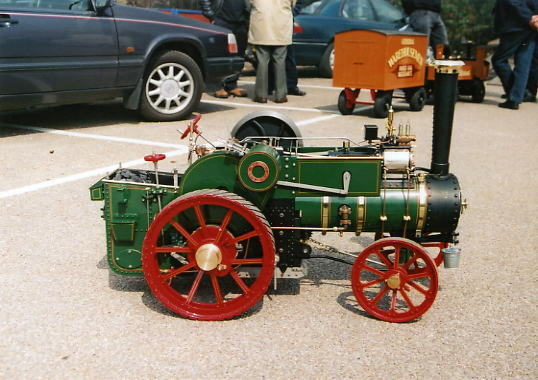 The model, available in 3", 4" and 6" scale may be built in three guises. Cast wheels, wood block wheels and the traditional wood block wheel. All three varients are covered in the drawings, but please remember to specify in which scale you intend to build. There are lots of pictures of models in the models' gallery. The weight of the 3" Little Samson is 130kg (2.5cwt), but noticably less with a copper boiler. 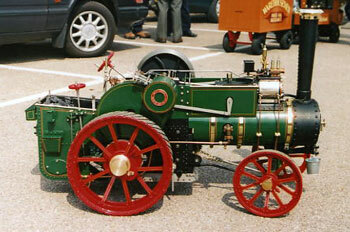 The 4" engine with cast wheels weighs 260kg (5 cwt) and the 6" engine weighs 850 kg boiler full & back tank empty. Machining cast wheels is a straight forward turning exercise and will save a great deal of time, this option being popular with first time builders. If your lathe is not big enough you could do them at an evening class, or if necesary Little Samson Models could machine them for you. The flat plate and angle construction of the tender eliminates flanging making it easy to construct and saving further time. 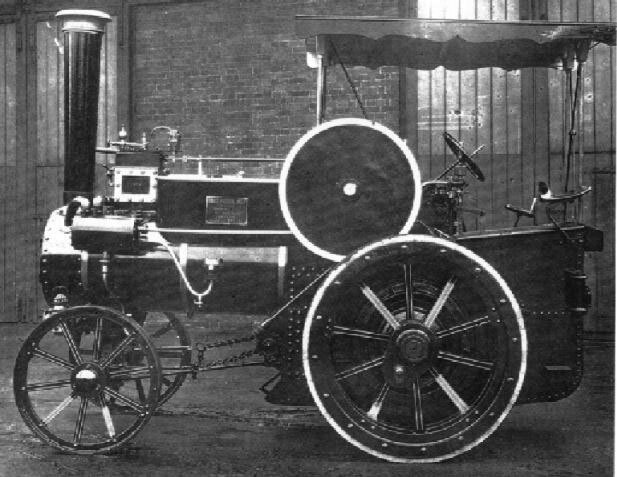 The early tractors were built with cast road wheels. Although comparatively few were made with the cast wheels characteristally of Savages each was different in some respect or another. The cast wheel will save the modeller a great deal of time and is recommended for beginers and those wishing for a quick build. Due to its simplicity the cast wheel Little Samson is recommended for the less experienced. Most builders choose cast iron for the wheels, but to special order, they are also available in high tensile aluminium. If a builder is looking for a real challenge the wood block back wheels would make a very appealing and individual model. Two models with woof block wheels are under construction. For the more experianced extensive use of the works drawings (photocopies available from Little Samson Models) together with the surviving black and white photographic illustrations will give the potential builder everything that could be needed in making a high fidelity close scale model of this super little engine. Castings and laser cut spokes are available for the taditional style of traction engine wheel. Little Samsons were fitted with a feed water heater mounted adjacent to the motion, either inside or outside the motion covers. It is the cylinder near the smokebox outside the motion covers. However the feed water heater was not fitted to all engines so for a 'quick build' leave it off. 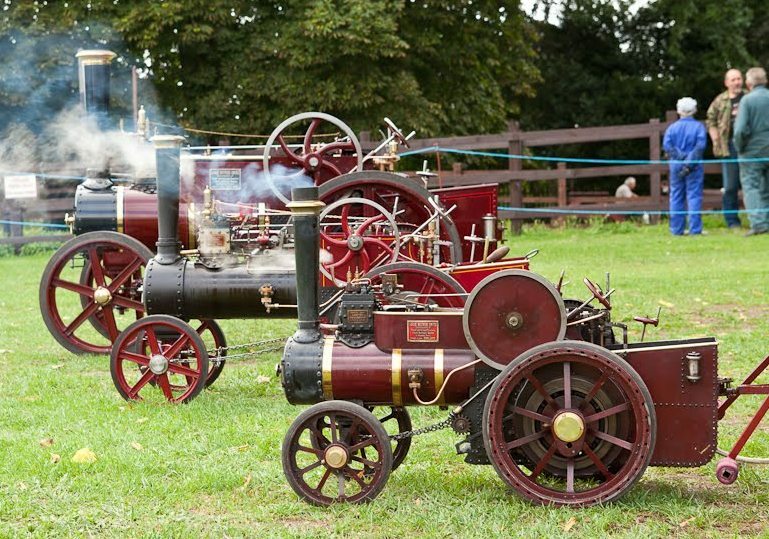 3", 4", and 6" scale Little Samson tractors taken at the Bressinghan Steam Museum's very popular model traction engine rally. 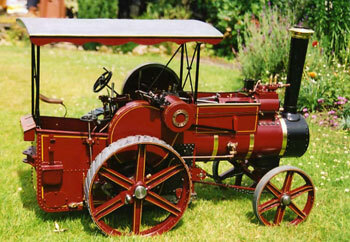 The ‘Little Samson’ tractor is available in 3”, 4”, and 6” scale. The model weighs about 850kg (17cwt).